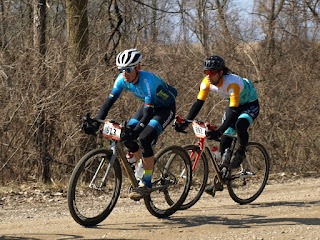 I wasn't able to make it up to Barry Roubaix this past weekend and was bummed about it. However what I did get was a ride better than that! 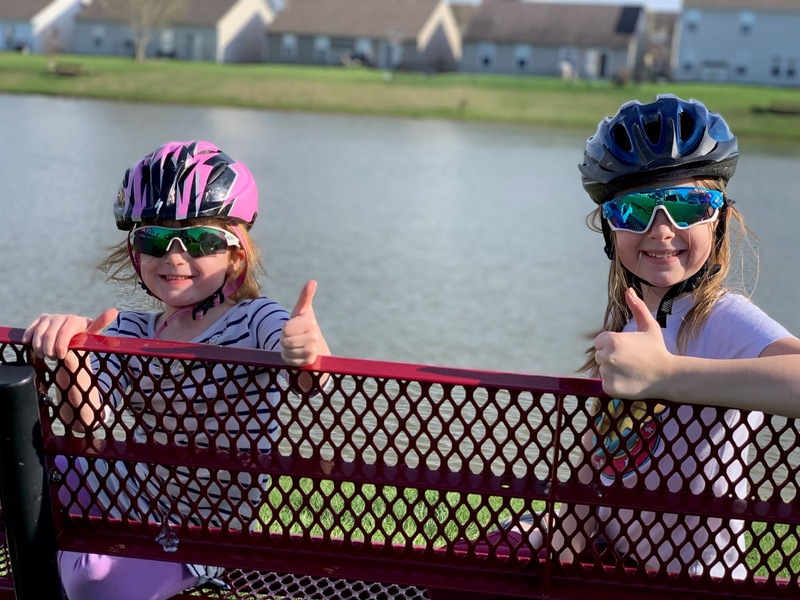 I was able to go for a 1.5 mile bike ride with Madelyn and Carolyn! Madelyn got a new bike from Papa Paul and Grandma Kathie and Carolyn got Madelyn's old bike. 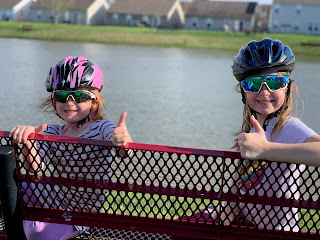 Since they got them this week they haven't been off them and just been wanting to ride more and more. Since my mom visited this weekend she was able to stay with Aiden while we adventured off! So much fun and can't wait till next time. They are already asking me to go again. I know for a fact Madelyn likes the freedom a bike gives her to just go a bit. Same reason I like riding so much. Every time is an adventure. GRAVEL RACING!! 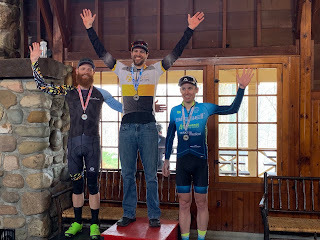 First race gravel race for me this past weekend with the Bissell ABG Giant boys. Unfortunately I forget my GoPro so no cool video, but some pictures. 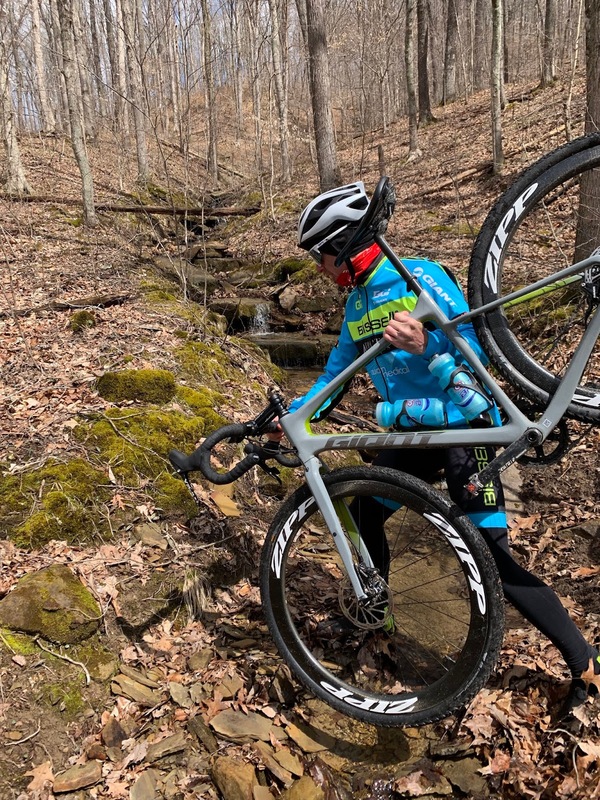 Gravel racing is different than road racing. There really aren't teams, well other than ours at the moment, most of the time the field is much bigger filled with riders of all abilities, even when drafting it's still difficult because of the resistance of the terrain, and seems the pace is more likely always on a bit. Our plan was to be patient and let the race come to us. Well we raced like a road race and had riders in any moves that went up the road which was good. Made everyone else work more. Just at the end we didn't finish it off well. Personally I should have tried an attack coming towards the end, but not knowing the course and best spot made me a bit hesitant. That also played a roll into us not being in the right spot for the finish which came up fast! Karl finished 3rd and I was 5th overall. He won his age category, I was third in my age category and Beebe was 3rd in his. Not knowing the course is pretty fun when racing gravel, you have no idea what could be around the next corner. One moment we were going 40 mph downhill on pavement before taking a right hand on a path that was slightly uphill and a soft surface that sucked the bike down. Pre riding Barry saw the famous Sager Rd. could only imagine the joy to come not knowing about that in the race. After the race there was beer, donuts, and bbq sandwiches. Can't remember the last time I did a criterium where there was this much going on afterwards. 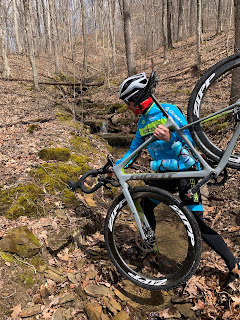 Gravel racing is where it is at. I think the whole time out there for the 50 miles we saw 3 cars. I'm already looking forward to the next one! Next up for the team will be Barry Roubaix this Saturday which we pre road Sunday. I was invited down to the Revolution Cycling Team Training Camp again this year. Revolution Cycling Team is a team my Dad started several years ago. He has been setting up a training camp down in Brown County for the team for several years. 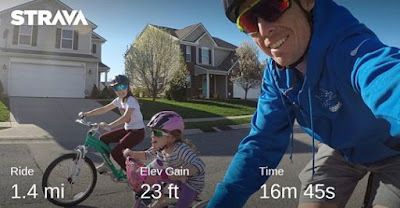 Since I have been a resident of Indiana, have a bit of knowledge in bike racing and have put in many miles on the roads down that way I go down to help lead some rides and talks. It's an absolute blast, regardless of the weather. This year was a bit different as I happen to personally coach a few of the riders as they are FasCat riders. So it was great to get in some rides with them and talk. They of course are all riding super strong! The weather this year was quite interesting. Started off on Thursday with 70 degrees and by Sunday was below freezing with snow flurries! But that didn't stop the Revolution train! 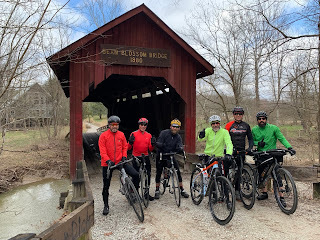 Something new we did this year was a gravel ride! Obviously I suggested it after getting my new Giant Revolt gravel bike. But it works out awesome with Barry Roubaix only 2 weeks away which is a huge gravel event up in Michigan. 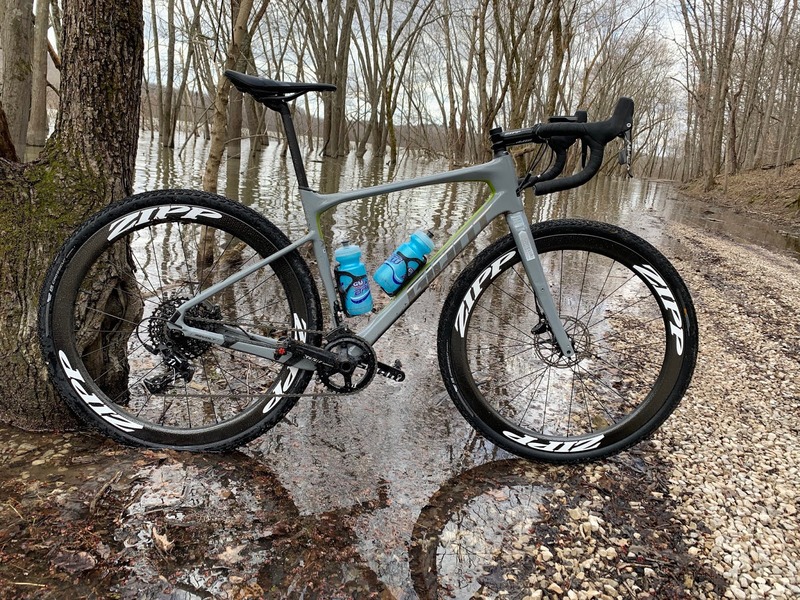 The gravel ride we had was quite the adventure. 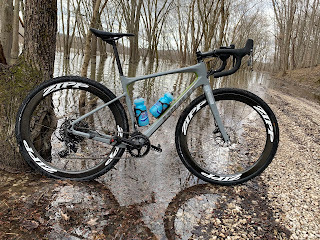 We had a bit of rain on Saturday before Sunday's gravel ride. During the ride some Garmins were going off with the weather advisor of flood warning. Everyone just shook it off. Well about half way through we had to ride through a water crossing, it was fun. Around the next bend was another, but a little deep, no worries hike around. Then another one, soon it wasn't cute anymore. Got to some pavement and some different roads and all was good. Make a turn and a sign straight in front of us said road may flood. Should have listened. After some more water crossings and hiking we basically came to a dead end since the road was under a lake and now way around. Good times! Here are some Videos I took. This weekend is Lowell 50. 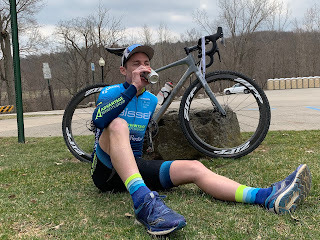 My first official gravel race!